Who’s 91? Why’d Baidu Buy It? $1.9 billion. It’d be, so far, the most expensive deal in China’s Internet history if Baidu successfully bought 91 Wireless (Update: Baidu finally paid $1.85 billion.). So who’s 91? Why 91? 91 started as iPhone PC Suite, an iPhone software managing tool. The developer, Xiong Jun, sold it to NetDragon for 100 thousand yuan in 2008, not long after its launch. 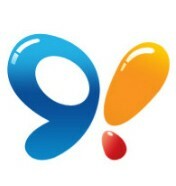 Xiong developed 91 Assistant after joining NetDragon. Later in 2010 he left it to found Tongbu, an iOS software & content manager backed by Innovation Works. 91 Assistant got much traction as Chinese users with jailbroken iPhones could download paid apps from it for free. It reportedly had three million users in early 2010 that accounted for over 90% of jailbroken iPhones in China. It expanded to Android in 2011 by launching HiMarket, a third-party Android app market. In the same year its parent company decided to spin it off and planned to have it go IPO. The company later developed a number of apps and services in-house, including mobile reading app Panda Reading, mobile video player Panda Player, custom Android home replacement 91 Launcher, news site sj.91.com, among others. Its major revenue sources are mobile games and advertising. Revenue shares from third-party game developers accounts for about half of its total revenues. The rest is from paid apps such as 91 Launcher. It made a total of 280 million yuan (about $45.5 mn) in revenue in 2012.The management of NetDragon expected 91 to make six to eight million yuan in profit in 2013, according to its Q113 earnings conference call. On its platforms there were 200 million users, 900 thousand apps and 100 thousand developers, 91 CEO Hu Zeming disclosed at GMIC2013 two months ago. Its direct competitors include AppChina, Wandoujia and Gfan. All the third-party app markets in China are operated in a similar way. But 91 turns out to be one of the largest — if not the largest. Qihoo’s 360 Mobile Assistant, similar to 91 Assistant, is a rising competitor to above-mentioned app distributors — Its CEO Zhou Hongyi claims Qihoo is the biggest mobile app distributor in China when speaking at Standford on July 16 (in Chinese). 360 Mobile Assistant, actually, was developed with the help from 91, but it seems the partnership didn’t last long. Baidu needs a powerhouse in order to get a better positioning in the mobile market. It was reported that Baidu approached other app distributors as well. The rumor that the company wanted to acquire UC Web, a mobile browser company, lasted for a long time. No matter what Baidu is to acquire, an app distributor or a mobile browser, the strategy sounds like one the company adopted years ago and succeeded with. Hao123, one of the largest directory websites a decade ago, was bought by Baidu in 2004. Although it was used by Chinese users for clicking open the most visited websites listed on its homepage, it helped a lot on driving search traffic after a Baidu search box had been placed onto it. Qihoo and Sogou came up with a similar strategy to monetize their large user bases. An app distributor can just work in the same way in the mobile Internet world. Speaking of this, Qihoo, who is believed to become Baidu’s direct competitor, has been ahead of Baidu with 360 Mobile Assistant — before the acquisition of 91. Qihoo is working hard to catch up with Baidu in search. It was rumored the two were fighting to acquire Sogou, the third biggest search service in China after Baidu and Qihoo. But $19 billion sounds expensive. 91 was valued at $140 million when raising Series B funding in late 2011. Earlier this year the valuation was reportedly $350 million when NetDragon tried to introduce new strategic investors. NetDragon has always been a wise seller that sold 17173, a news site on games, to Sohu in 2004. With the money from there it started developing online games and becomes what it is today.